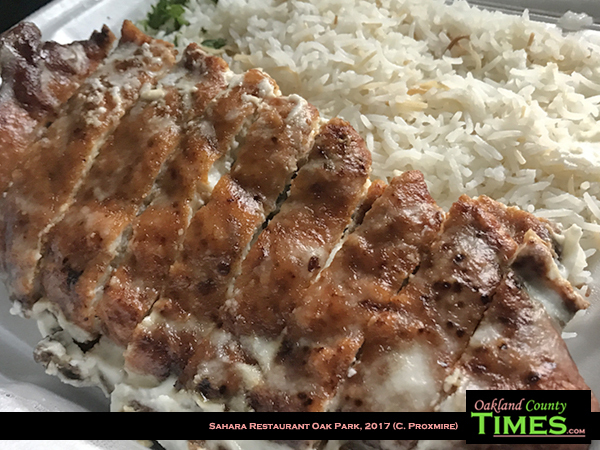 Oak Park, MI – If you are looking for a feast – a lot of delicious food for a low cost – then Sahara in Oak Park is a great choice. My favorite is the Lemon Chicken Cream Chop, which is sauteed with butter, garlic, parsley and fresh lemon juice served on a bed of rice. 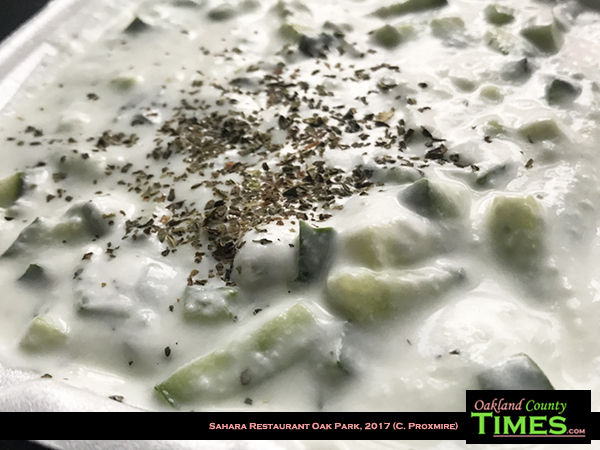 For this meal I also decided to try something I’d never had before – a Jajeek Salad. This was yogurt mixed with mashed garlic and cucumber, topped with mint. 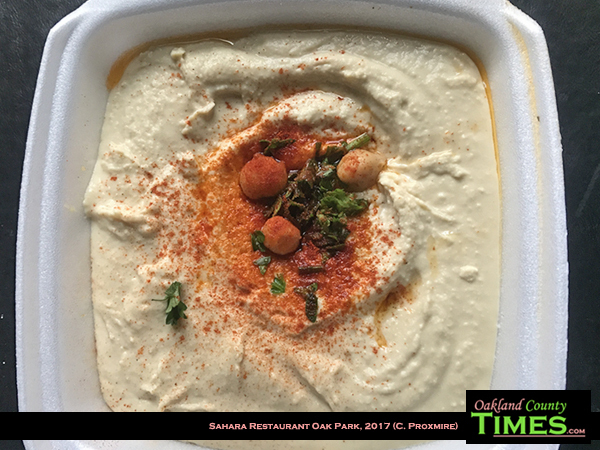 I also had a side of hummus, which is made fresh in house with chick peas, olive oil, lemon juice, tahini and garlic. 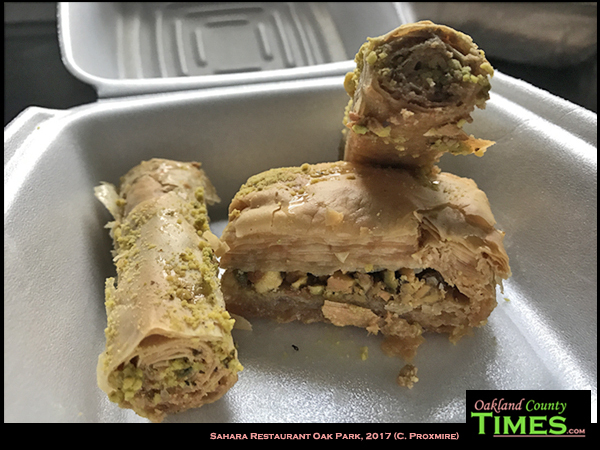 For desert there was sweet delicious baklava. It was a delicious meal with plenty of leftovers. Sahara is located at 24770 Coolidge Hwy, Oak Park, MI 48237, right by I-696. Check out their website at http://newsahara.com/. Also check out more Reporter Food columns.